Without doubt Bury Section’s most famous past member is former World Champion track cyclist Reginald Hargreaves Harris. Reg was born at Birtle in Bury on March 1st 1920. He joined the CTC in 1935 and rode with his pals of those days Billy Nuttall and Jimmy Battersby. He was a professional cyclist between 1949 and 1957 and made a one year comeback in 1974 winning the British National Sprint Championship. More can be read about Reg’s early days in Bury in his 1976 autobiography ‘Two Wheels To The Top’ and an excellent biography ‘Reg Harris’ by George Pearson of ‘Cycling’ published in 1950 (see ‘Reg Harris Photos’ page). A brief biography from Wikipedia, the free online encyclopedia, is reproduced below. He owned the Fallowfield Outdoor Cycle Track in Manchester and raced there often at international meetings. His greatest rivals were Oscar Plattner and Arie van Vliet. At the Manchester Velodrome, overlooking the track, there is a marvellous sculpture of Reg in action (see ‘Reg Harris Photos’ on the Photo Gallery page). It is the work of James Butler RA and was unveiled when the velodrome opened in 1995. Bury Section celebrated its 50th Anniversary in 1979 and a major social event took place on the 7th November of that year at the Lord Raglan, Nangreaves on the hills above Bury. This was the Golden Jubilee Year Dinner and the guest of honour was past member Reg Harris. A photograph taken at the function shows Reg perched on the saddle of a vintage Dursley-Pedersen with, from left to right, Walter Pilkington, Ernie Mole, Frank ‘Ab’ Haslam, Billy Nuttall, Frank Dickinson and Harold Jay (again, you can see this photo on the ‘Photo Gallery’ page). When Reg died in 1992, some older members of the Section who could remember riding with him attended his memorial service at Bury Parish Church. Go to the 'Photo Gallery' page to see images of Reg. Reginald - 'Reg' - Hargreaves Harris (March 1, 1920 - June 22, 1992) was a leading British track racing cyclist in the 1940s and 1950s. He won the world amateur sprint title in 1947, two Olympic silver medals in 1948, and the professional title in1949, 1950, 1951 and 1954. His ferocious will to win made him a household name in the1950s, but he also surprised many with a comeback more than 20 years later, winning a British title in 1974 at the age of 54. Reginald Hargreaves was born in the tiny hamlet of Birtle, near Bury, Greater Manchester, the son of a musician who died when he was six. His mother subsequently remarried and Reginald took the name of his step-father, a textile worker called Harris. Reg Harris left school without qualifications and his first job was as an apprentice motor mechanic in Bury. During this period, at the age of 14, he bought his first bicycle, and entered a roller-racing competition organised by the Hercules bicycle manufacturing company. His ability attracted the attention of other cyclists and Harris joined Bury Section of the Cyclists' Touring Club and its then racing offshoot, the Lancashire Road Club. In 1935 he won his first race, a half-mile handicap event held on a grass track in Bury, and also started competing in individual time trials. Harris moved from the motor mechanics job to a job in a slipper factory, then, in early 1936, found a position in a paper mill that he felt would pay him enough in the winter to allow him to spend the summer training and competing in his chosen sport. During 1936, he competed in and won his first events in a proper velodrome, at Fallowfield in Manchester. In early 1937, he was confident that he could support himself as an athlete and left the paper mill to focus on the summer cycle racing season, returning to the mill the following winter (and he repeated the process again the following year). He continued to win races and attract attention, and by the summer of 1938 was able to beat the existing British sprint champion. At the end of that season, he joined Manchester Wheelers, and in 1939 won a major race in Coventry, leading to his selection for the world championships in Milan. He travelled to Milan and had familiarised himself with the track when World War II broke out and the British team was hurriedly recalled back to the UK. Harris joined the 10th Hussars in the North Africa Campaign as a tank driver but was wounded and invalided out of the services as medically unfit in 1943. Depite the judgment of the army medics, in 1944, he won the 1000 yards, quarter-mile and five-miles titles in the national cycling championships. He retained the two shorter titles in 1945 and added the half-mile on grass. He was invited to race in Paris in 1945 and again impressed the crowds, and he was expected to do well in the 1946 world championships in Zurich, only to have his chances ruined by an over-enthusiastic pre-race massage. By the time Harris won the world amateur sprint title in Paris in 1947, he was already employed and equipped by bicycle manufacturer Claud Butler and was testing the boundaries of amateurism. The cycling world antipated that Harris would take three titles in the1948 Summer Olympics (sprint, tandem sprint and kilometre time trial) but three months before the London Games, he fractured two vertebrae in a road accident. After hospitalisation, with a few weeks remaining to the games, training, competing and winning, he fell in a ten-mile race at Fallowfield and fractured his elbow. Completing the rest of his preparation in a plaster cast, he had to be satisfied with two silvers, being beaten by Italian Mario Ghella in the final of the sprint, and partnering Alan Bannister to second place in the tandem sprint (timetable constraints meant Harris's place in the kilometre was taken by another rider). Two weeks later, he claimed a bronze medal in the 1948 world championships sprint in Amsterdam. 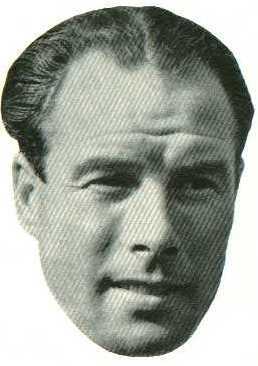 On his return from Amsterdam, Harris turned professional under sponsorship of the Raleigh bicycle company and in 1949 won the world professional sprint championship in Copenhagen - a victory he repeated the following two years in Belgium and Milan. He then won a fourth and final world professional title in Cologne in 1954. He was soon earning £12,000 per annum as one of the nation's most recognisable sportsmen. He won the UK Sports Journalists' Association's accolade of Sportsman of the Year in 1950, and was runner-up in 1949 and 1951. He retired in 1957 to devote himself to various business interests, none of which really suited his tastes or abilities. He managed the Fallowfield Stadium, renamed the Harris Stadium in his honour; he was involved in various abortive ventures associated with Raleigh; and he started a 'Reg Harris' bicycle manufacturing business in Macclesfield which lasted three years before folding. He then worked in sales promotion for the 'Gannex' raincoat company, before working for two plastic foam producers. In 1971, he returned to racing, winning a bronze medal in the British championships in Birmingham after hardly any preparation. With much more training behind him, he approached the British championships in Leicester in 1974 in more confident mood, and beat Trevor Bull to win the title at the age of 54. In 1975, he returned to Leicester, but was narrowly beaten by Bull in the final and had to settle for the silver medal. He continued to cycle almost to his death. He was married three times. The first two marriages (in 1944 to Florence Stage, then to Dorothy Hadfield) ended in divorce. He married Jennifer Anne Geary in 1970. He died in Macclesfield of a stroke, survived by his third wife. A memorial to his achievements in the form of a sculpture by James Butler RA can be found in the Manchester Velodrome (the National Cycling Centre). On 25th March 1893, the FA Cup final was staged at Fallowfield Stadium. This marked the first time that the initial match for the cup final had been held outside London (The Racecourse Ground, Derby held the 1886 replay). The site is now occupied by the Armitage Centre, a sports facility owned by Manchester university. The Stadium also included a cycle track built in 1892 of shale (but later resurfaced with concrete), 509 yards in circumference with thirty degree bankings, used for the annual Manchester Wheelers' meeting on the second Saturday each July. In 1950 this was purchased by star sprint cyclist Reg Harris and renamed the Harris Stadium. Awarded the Order of the British Empire (OBE) in 1958. Harris won the prestigious Bidlake Memorial Prize twice, in 1947 and 1949. Thanks to Wikipedia for most of the above information.